A recent study found that the average smartphone user accesses over 25 apps a month. All that juggling can be time-consuming, which is why we’ve combined many of the essential small business tools into one powerful, fully integrated platform. For example, the free Square Point of Sale app allows you to issue invoices directly from the user interface, without the hassle of having to download, manage and administer a separate invoicing app. Square Point of Sale also allows you to track your sales and accept face-to-face payments with Square Reader, giving you more time to focus on improving your business. 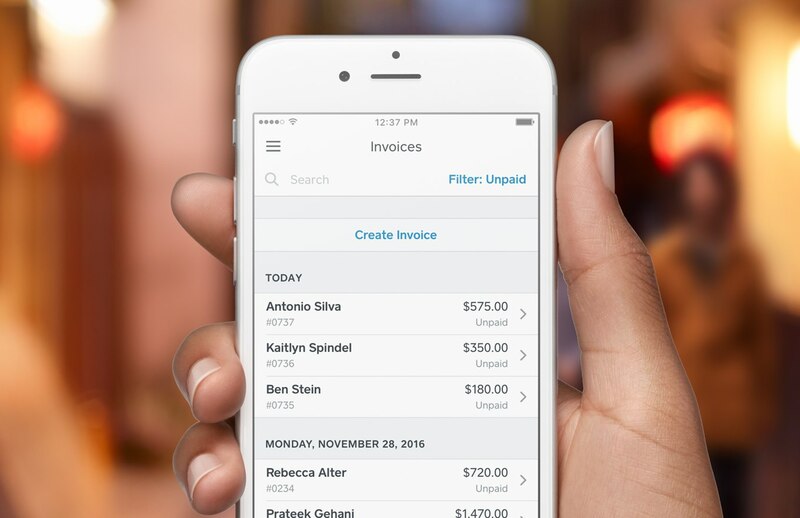 Why send invoices from an app? Because it saves you time and improves your cash flow. Australian businesses are waiting on over $19 billion in outstanding invoices, costing them time (spent chasing payment) and growth opportunities. When you can send invoices from your smartphone as soon as the work is completed, you save valuable time after work hours. You’re also able to focus on outstanding payments because you have the data right at your fingertips, putting you in a good position to follow up on any late payments. Sign up for your free Square account, available for both Android and iOS users. Open the Square Point of Sale app and select Invoices in the main menu. Tap Create Invoice to customise your invoice. Enter your customer’s information, such as name and email address—something that’s easily identifiable to the customer. Once you’re done, tap Add to Invoice. If you are invoicing for an item that is stored in your library, tap Add Items. Otherwise, manually enter an invoice amount for goods sold or services rendered. What if I don’t need all the Point of Sale features you’re offering? No problem. Even if you don’t need to send invoices on the go, you can still use the Square Point of Sale app to accept face-to-face card payments with Square Reader. Or, if you don’t need the app to accept payments, you can simply use it to send invoices. How much does it cost to use Square Invoices? It’s free to send as many invoices as you like with Square Invoices. You only pay 2.2% when a customer chooses to pay you online via Visa, Mastercard or American Express. Your payments are deposited into your preferred bank account as soon as the next business day.